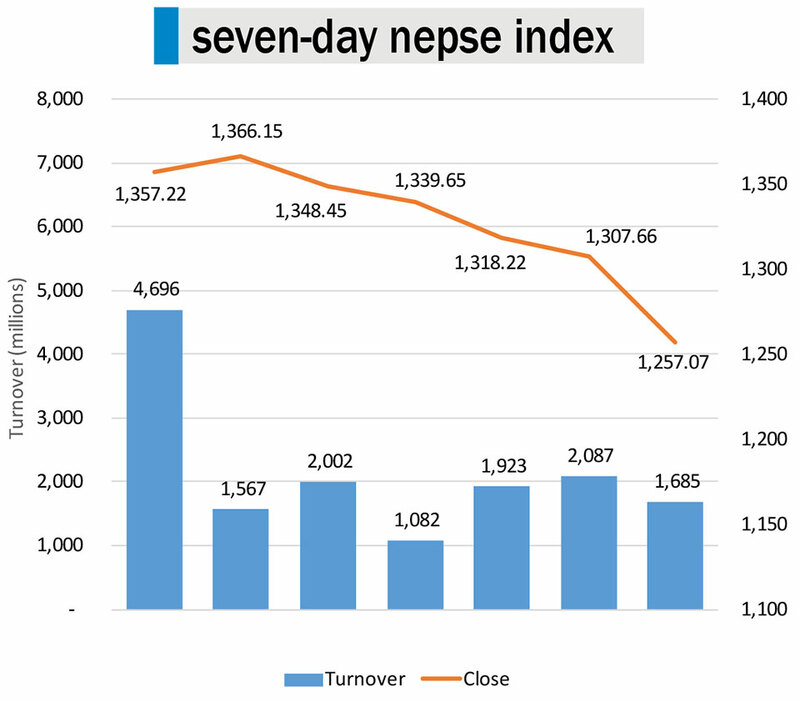 KATHMANDU, June 9: This week, Nepal Stock Exchange (Nepse) index dropped sharply as the investors remained distressed by the implementation of new capital gain calculation method enforced by the Inland Revenue Department (IRD) on Sunday. According to the new rule, capital gain on bonus and right shares had to be calculated with the face value as base rate. The provision has made the investors liable for more taxes; and in some cases, taxes had to be levied even when transactions were settled in loss. Government faced a huge backlash from individual investors, investors associations, and different concerned organizations. Investors decided to stage a protest on Tuesday nationwide by not trading. The protest carried on to Wednesday's session. However, trading resumed on the second half of the session on Wednesday after the government decided to withdraw the new calculation method. Nonetheless, the older system will stay in place until a special committee formed by the finance minister presents a detailed study report with recommendations on the aforementioned issue. Subsequently, fear among investors still seemed far from restrained. Following the turmoil, Nepse dropped by 50.59 points to close at 1257.07 points this week. Sensitive Index which measures the performance of Class 'A' stocks also plunged by 10.82 points or 3.93 percent. 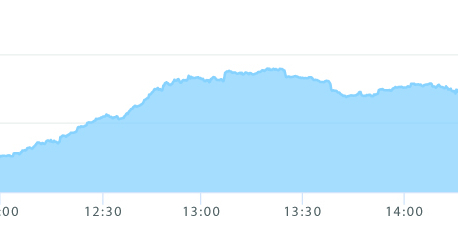 As shares were only traded for four days in the week, the stock market witnessed a total turnover of Rs. 1,684 million – a decrease by 19.30 percent against last week. Most of the major sub-indices ended the week lower except the Manufacturing & Processing Sub-Index which rose 0.99 percent. Reflecting the weakness in the insurance segment, Insurance Sub-Index declined the most by 5.65 percent. Likewise, Hotels Sub-Index also shed 5.06 percent. Further, the sub-indices of microfinance and hydropower sector dipped over 4 percent each. Shares of Mega Bank Ltd led the list of top turnover companies with the total transaction of over Rs. 72 million. Rastriya Beema Company Ltd (Promoter Share) and Nepal Bank Ltd followed suit with turnover of Rs. 67 million and Rs. 62 million, respectively. 600,000 unit ordinary shares of Nepal Seva Laghubitta Bittiya Sanstha Ltd was listed on the exchange this week. On the corporate front, CBIL Capital Ltd has decided to go public with the issue of an Initial Public Offering (IPO) of 3 lakh unit shares. The decision is due to be approved by Securities Board of Nepal (Sebon). Further, Civil Bank Ltd has proposed 10.25 percent bonus shares to its shareholders. After the issue, paid up capital of the commercial bank will reach Rs. 8 billion mark. As per the ARKS technical analysis, the index witnessed a sharp decline this week as the psychological support of 1,300 failed to hold ground. Relative Strength Index (RSI) is headed towards the oversold zone following the recent downward rally. Moving Average Convergence/ Divergence (MACD) also indicates that the market is still in a prolonged downtrend. If the index's movement carries over to next week, the index is likely to test its support at 1,200 point level.